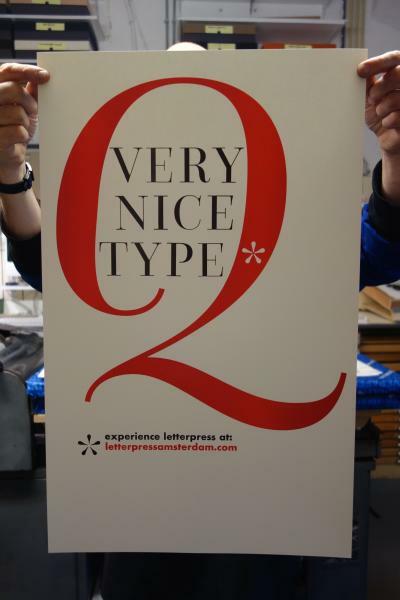 Print with the recently released Questa Grande wood type under the guidance of Thomas Gravemaker. Maximum 4 participants per day. Unique opportunity to print with Questa Grande wood type under the guidance of type designer Martin Majoor & Thomas Gravemaker. Evening courses are 6 evenings filled with type, ink, paper and presses. Members learn basics and are given a group assignment where each member can pursue their own idea or project. Maximum participation 4 members. During the 2-day Introduction to Lino and Typo workshop, you will discover and explore the possibilities of combining lino printing with letterpress printing in the studios of De Grafiekdrukkerij in the Docklands and LetterpressAmsterdam in the centre of the city.